When Peri Thompson of San Diego watched a televised helicopter rescue of a family shortly after a massive debris flow slammed into the Santa Barbara County community of Montecito, she was shocked to see that the drama unfolding was at a home she owned. 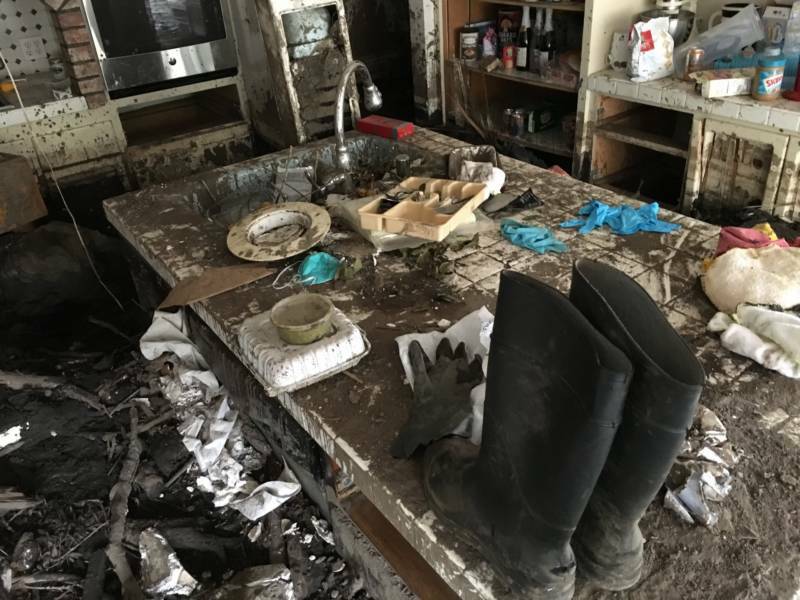 Thompson had rented the house in Montecito to a young family that narrowly escaped death when the 30-square-mile debris flow raced down fire-scarred mountains after an intense rain on January 9. “They woke up from the sound of crashing and when they got out of bed to see what it was, (the house) was waist-deep in mud, debris and boulders,” Thompson says. Using an attic ladder Thompson had recently installed, the couple pulled themselves, their newborn, two other children and two dogs out of the mud and into the attic. From there they climbed onto the roof and into a basket dangled from a hovering U.S. Coast Guard helicopter which then pulled them up and flew them to safety. Relieved that her tenants made it out safely, Thompson was left with the task of assessing the damage to her home - one of more than 300 houses filled with mud, rocks and debris several feet high. And that’s when she – like many property owners in Montecito – discovered she was underinsured for this type of disaster, which left her unsure of how to move forward. And expensive, says Abe Powell. Powell is a director for the Montecito Fire Protection District and a founder of the newly formed Santa Barbara Bucket Brigade. The volunteer group has helped more than five dozen homeowners dig out from the mud, for free. So far, he says, more than 2,000 volunteers have shown up to shovel. While some volunteers work to clear mud from inside each house, Powell oversees crews working outside to clear debris with help from a mini-excavator and other heavy equipment the group rents with donation dollars. Job one: dig a path to the front door – much the same way you’d clear a walkway of snow. The crews pile dirt in each yard for the homeowner to dispose of. And while dumping it is costly, Powell estimates the group has saved Montecito residents more than a million dollars in cleanup costs so far. 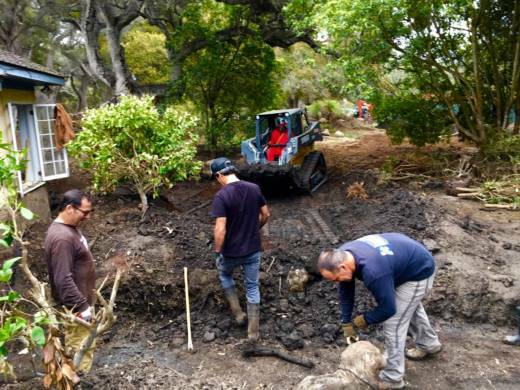 But the work happening each weekend in Montecito helps more than just the hard-hit homeowners, says local contractor and volunteer John Trimble of Santa Barbara. Fellow volunteer Jed Hirsch, also a local contractor who lives in nearby Summerland says with each passing week, those who show up to dig seem to be more relaxed. "People are beginning to smile,” Hirsh says. “And that’s the interesting part of it – seeing how people are maturing into this tragedy." For many touched by the tragedy, digging has become a way to connect with others and to begin processing the disaster that took at least 21 lives. A toddler girl and teenaged boy remain missing and are presumed dead. With the cleanup far from over, it’s likely to take some time before many homeowners in Montecito learn whether their houses can be saved. 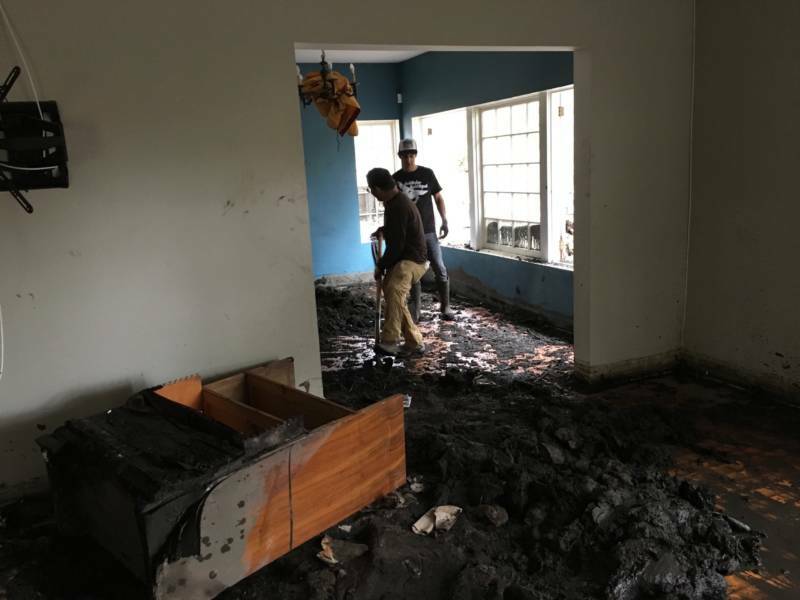 Still, Peri Thompson says, she considers herself among the lucky ones: Not only did her tenants escape tragedy, but now she and her neighbors are getting the help they need - from total strangers. “I don’t know these people at all,” she said wiping tears from her eyes as she took a break from cleanup to watch the volunteers at work. “I mean, they’ve come out here and dug and I don’t know why I’m crying because it’s a really wonderful thing."